The hair seems to be a common asset to every person regardless of age and gender. But this case is pretty different if you found it on areas you least expected it. Just like having it on your tongue. Dental professionals called this a black hairy tongue problem. Just like its name, black hairy tongue means having hairs on your tongue. As strange as it sounds, but there are thousands of people who suffer from this condition. Research shows black hairy tongue is a condition wherein you gain thread-like pattern of dark strands. This lets your tongue appear like a wearing a wig! Although this is a rare condition, black hairy tongue has definite root causes. The number one cause is yeast infection. This means you acquire too much amount of bacteria that could produce small bumps on your tongue and affect your taste buds. As the infection grows, strands of black hairs occur. The black hairy tongue often exists on top of your tongue. Usually, the condition starts at the back all the way to its tip. This grows and becomes actually weird and scary to look at. The great news is black hairy tongue remains harmless and temporary. Therefore, you can get rid of this naturally. There are several factors that cause black hairy tongue. One is the usage of antibiotics. Antibiotics can kill any sorts of bacteria. This means it could eliminate even the good bacteria that monitor and control the yeast in your body. Bad oral habits also seem to cause a black hairy tongue. 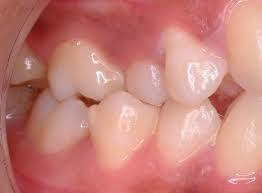 Dental neglect is obviously a sure reason of having poor oral health. In terms of bad oral habits, intense smoking and excessive consumption of caffeine enhance your chances having black hairy tongue. Other medications and personal care products, too, also discovered to induce black hairy tongue cases. Even though black hairy tongue is a temporary condition you might stumble upon, this doesn’t mean you need no dental hygiene. Black hairy tongue is a rare condition and mostly exists when you don’t spend much of your tongue. Fighting black hairy tongue means maintaining your tongue clean and free of irritants. Tongue brushing twice per day can do the job. Whether you have the black hairy tongue condition or not, this practice helps you improve and boost your tongue’s health. Another treatment for black hairy tongue is the use of hydrogen peroxide rinse. Since there are numerous types of mouth rinses, it is right and fitting to consult your dentist about mouthwashes. Your dentist can provide you with the most appropriate type of mouthwashes. When you have bit you better call an emergency dentist in Columbus. Credible dentists have tons of alternatives for preventing, fighting and combating black hairy tongue. One necessary technique is preventive dentistry. Preventive techniques of dentistry involve practices that can prevent the risks of dental problems, including the probability of yeast infection and black hairy tongue. The most essential part of preventive dentistry is dental care. You can uncover the things in dental care through a dental visit.